Tough cookie. 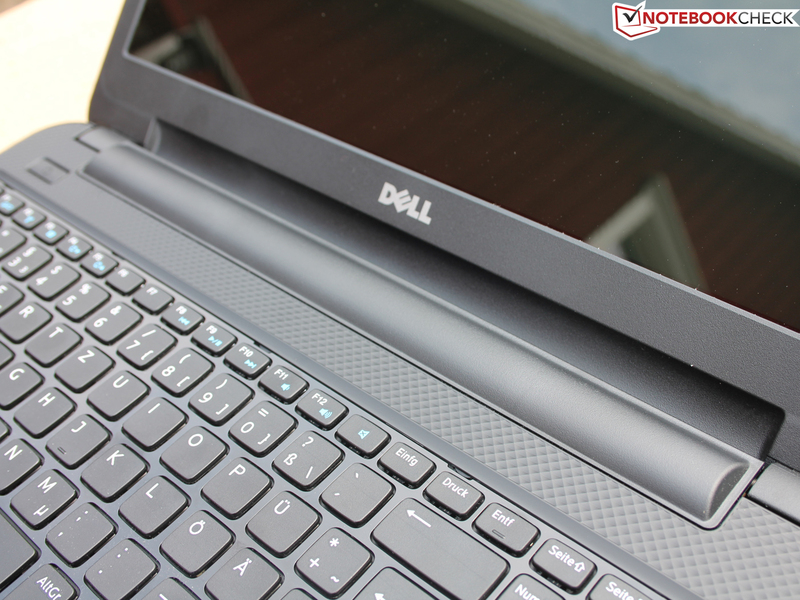 Outside of the mainstream models 15R and 17R we discovered the basic version of the current Inspiron 15. It presents itself without alu-finish but in bare plastic. Technically speaking, the cost-cutting Inspiron is even a bit better than the polished R sister-models. Roughly trimmed plastic for an overcharged price of 540 Euros (~$720) or a well concealed bargain? 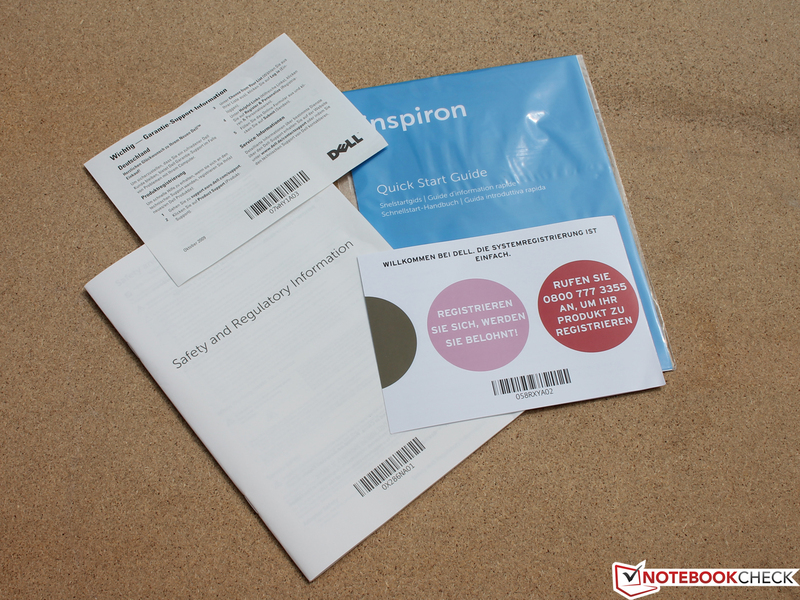 Dell Inspiron 15 (3521-0620) Insider's tip with AMD Radeon HD 8750M? Tough cookie. This is what crossed our minds after unpacking the Inspiron 15. 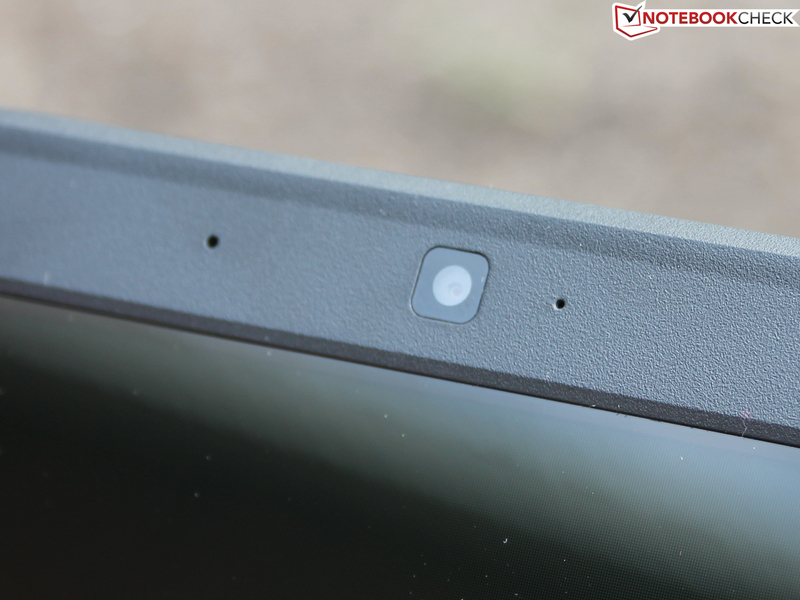 A matte plastic chassis without flourish topped off with a haptic pattern accompanied by hardware of the lower mid-range (but with a 1 TB HDD), a run-of-the-mill glossy-display and the basic interfaces, which are typical for a consumer laptop. But it is the hardware that makes this plain notebook so interesting: A low-voltage processor Core i5-3337U that might as well be installed in an ultrabook combined with an AMD Radeon HD 8750M (2 GB). The package is freely available on the market for 540 Euros (~$720). This makes it nearly 150 Euros (~$200) cheaper than the flagship Inspiron 15R-5521 (HD 8730M), which we reviewed in February 2013. Therefore, our 15-incher competes with the entry-level multimedia-laptops in the price-range of under 550 Euros (~$734). This price-range contains, among others, the following devices, which we have previously tested; partly with modified configurations. 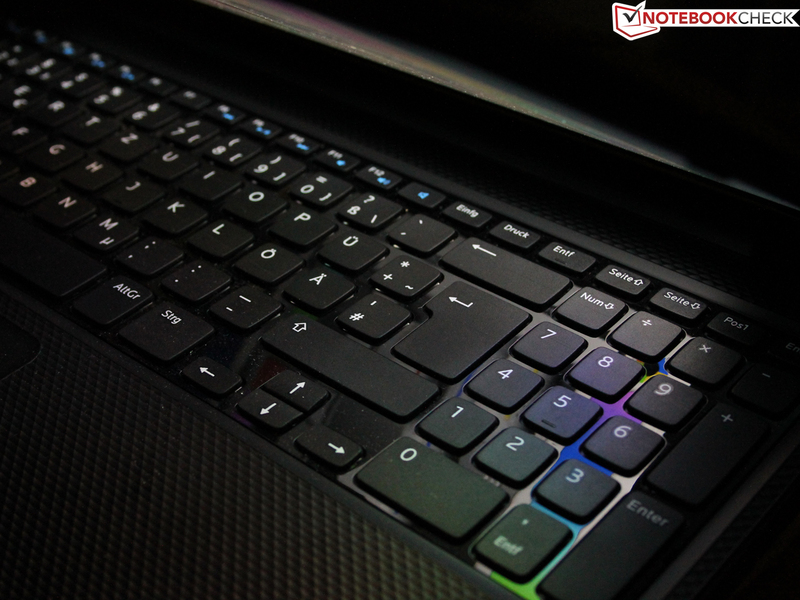 The two most exciting competitors are the V3-571G (HD panel model) and the IdeaPad Z580, due to their powerful GPUs. Why always show off with aluminum, when a little bit less would have sufficed? In the last few years cases have become more and more high-grade. The OEMs know how to punch, brush and anodize aluminum. Through mass-production this procedure has been made available for the lower price-ranges. Nevertheless, it makes a difference in purchasing if plastic or an aluminum-plastic compound is ordered. When, in addition, high-quality hardware is offered at a low price point, there is nothing else the manufacturer can do but choose a low priced chassis. To put it in a nutshell, our 15.6-incher is based on the same barebone as the more expensive 15R. Welcome to platform strategy. While the 15R is prettied up with an alu-interior and a cover made of the same material, the available basic model has none of it. 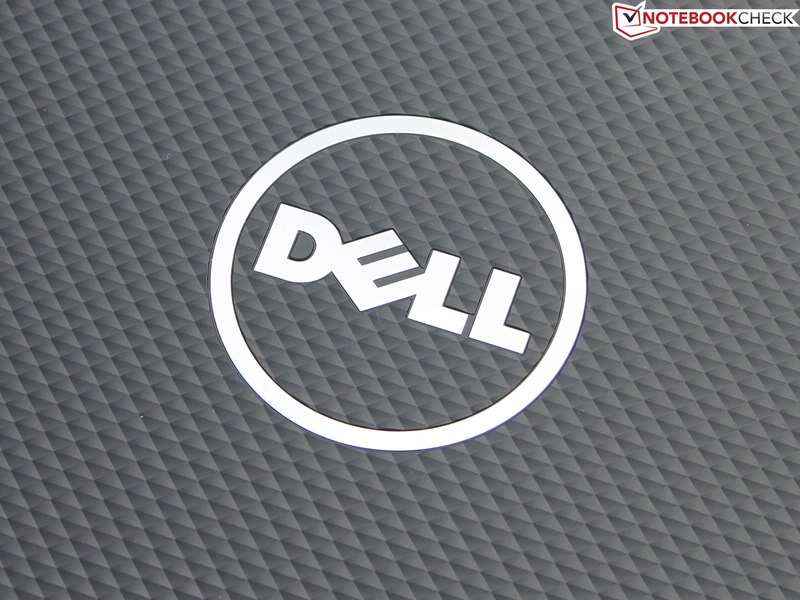 To avoid scaring off the buyer with boring plastic, Dell has punched the surfaces with a haptically pleasing pattern. 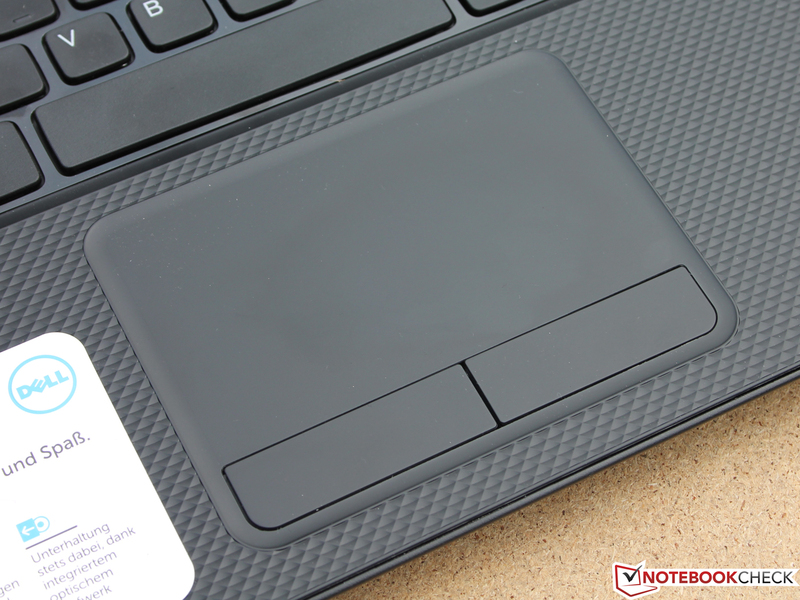 This pattern does not make the laptop less susceptible to fingerprints but the surfaces more scratch-proof and handier. The base is adequately rigid, but can be bent under normal force within limits causing the case to twist in places like the optical drive. The lid can be dented slightly in the middle. 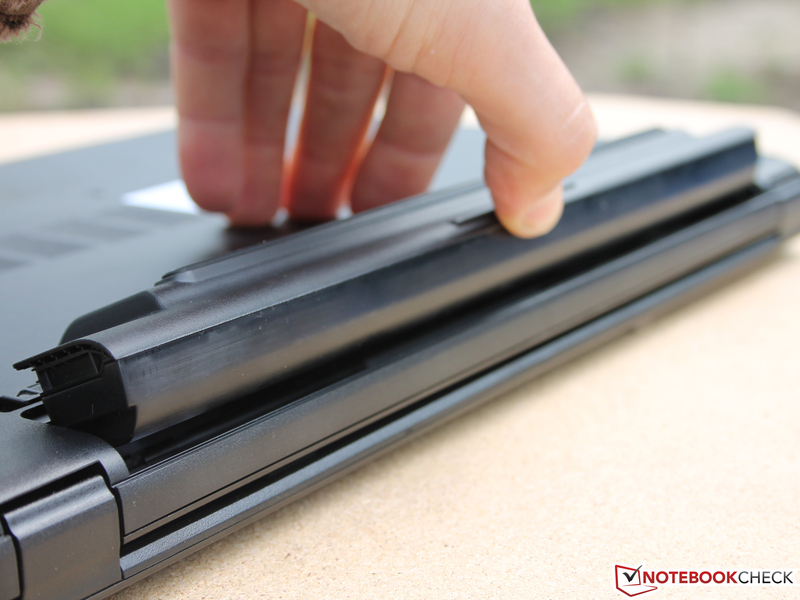 The hinges are very tightly adjusted, it was impossible to open the laptop without using two hands. At about 130 degrees, the glare-type screen finds a reasonably solid position. Teetering of the opened lid can occur but not in an annoying manner. Overall, the impression of quality is decent. What's bothersome though, are the many upwardly open cracks and joints (palm rest is fitted into the frame) which will eventually gather dust and dirt. The complete laptop has such a circumferential joint. The hard drive and main memory can be replaced easily. To do so, a maintenance hatch at the bottom needs to be opened. However, the user has a hard time in accessing the fan for cleaning purposes. The amount of interfaces is very scarce. A VGA port does not exist. At least they installed Ethernet RJ 45. The interfaces are 100% identical with the sister model Inspiron 15R. Hence the ports are located at the very front. 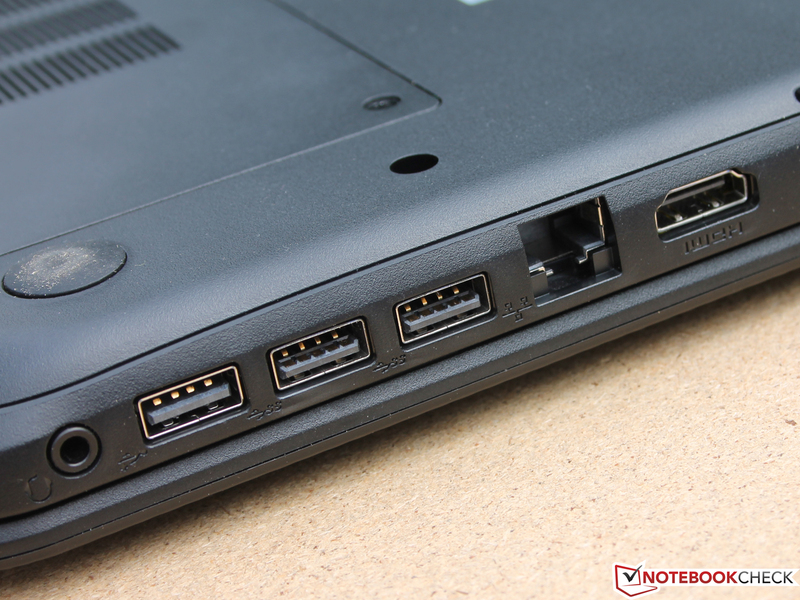 When using the laptop on a desk USB, network and HDMI cables could get in the way. Despite being common today, the RJ45 port is not available as a gigabit adapter (1,000 Mbit) but as a Fast-Ethernet model (Realtek PCIe FE Family Controller 10/100 Mbit). Those who have previously transferred several hundred gigabytes from computer to laptop via WLAN router know how handy a fast Ethernet cable can be. 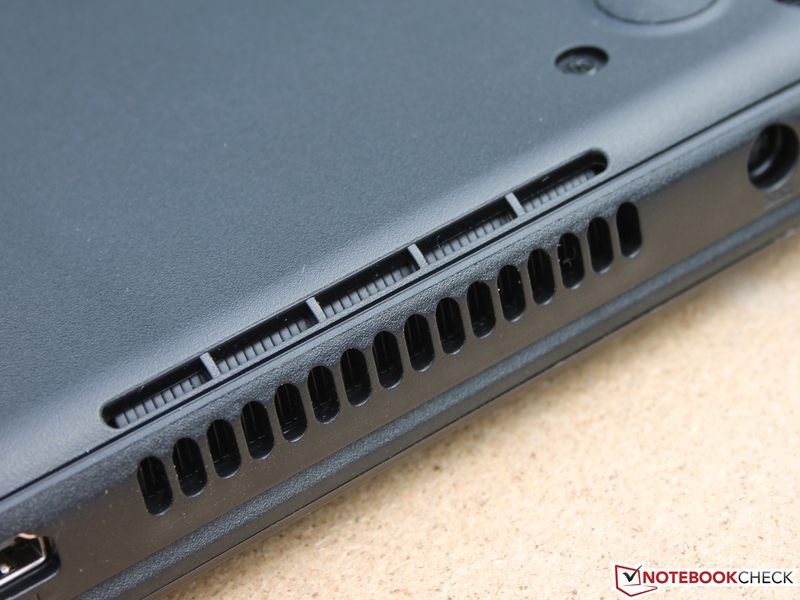 A Gigabit switch is unchallenged by the Inspiron 15, though. Dell's choice is unintelligible since nearly every currently available laptop has a gigabit adapter. The radio module is also of the "low cost" category: Dell's Wireless 1703 b/g/n only supports the 2.4 GHz band (single band). If WLAN networks interfere with each other (many networks in one place), the laptop cannot fall back on the 5 GHz band. How about the reception quality? At a distance of three and ten meters (upper floor) the reception quality is excellent and very good respectively. Outside the building it falls to three bars (15 m) and at 40 meters the Inspiron still holds a steady connection with the router (1 bar). Those are very good values for a low-end adapter. The transmission power of our router (Fritz!Box 7270) is reduced by 50%. 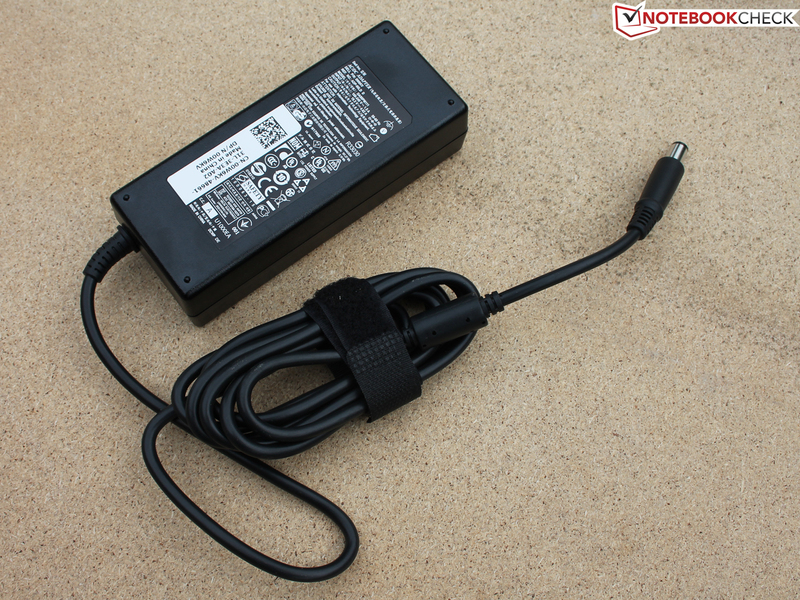 The manufacturer ships its Inspiron 15 with a 90 watts power supply, the battery that can be plugged in at the bottom, and a quick start guide. The only thing the user might miss is a Windows 8 Recovery DVD. 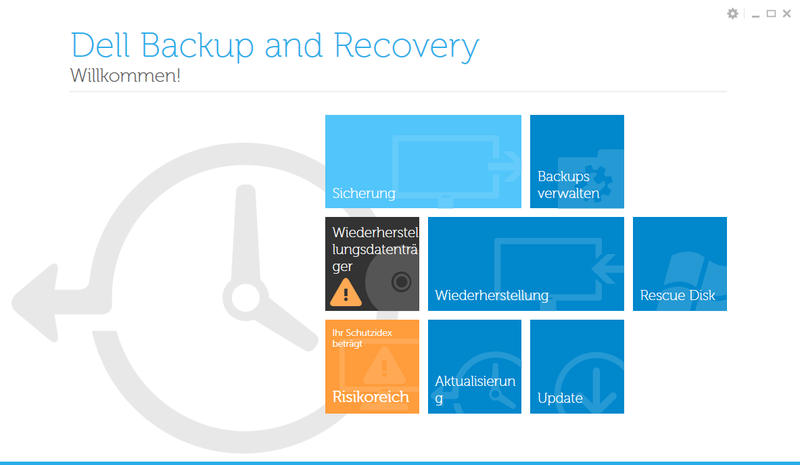 Therefore, it is recommended to make a rescue disk with Dell's backup tool right after acquisition. 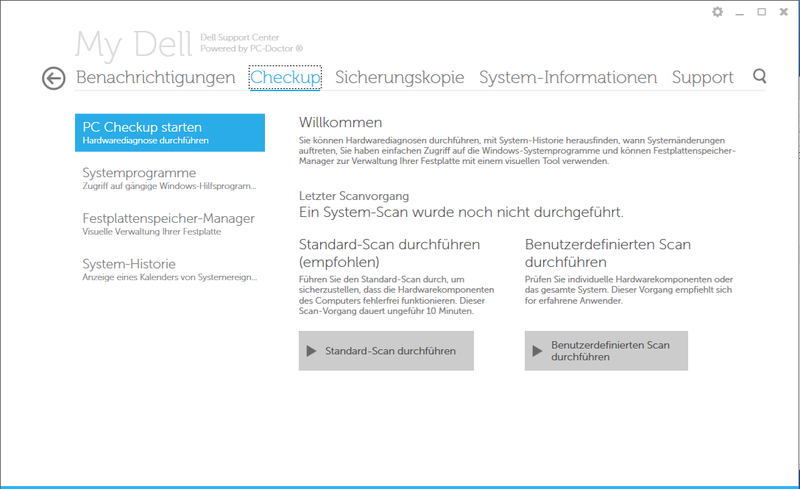 The preinstalled software is rather limited: My Dell Support Center (problems, case of service, driver updates, FAQ, manual), Dell Backup & Recovery (create system image) and Dell Digital Delivery (update of the device software via Service Tag). 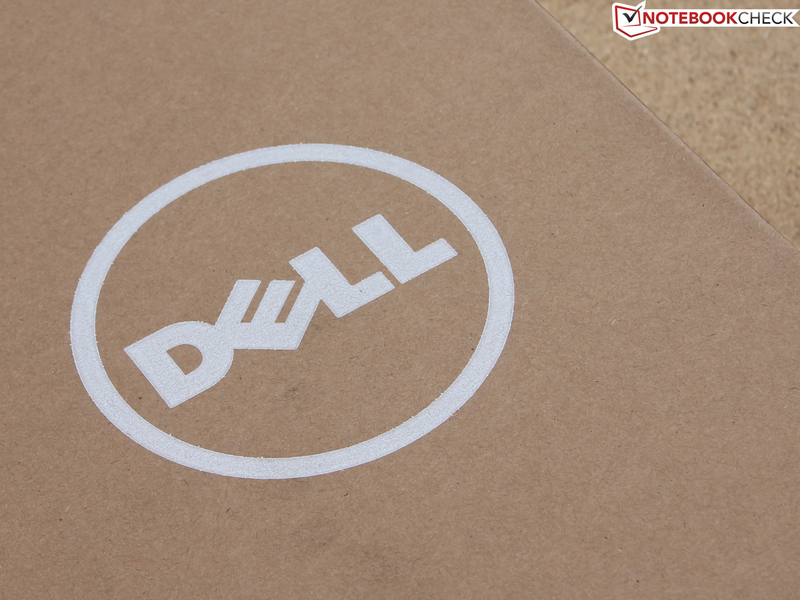 When buying the laptop at an online shop or a Dell partner the normal warranty (pick-up & repair) spans 24 months. Extensions exist too. One year of on-site service costs an additional 75 Euros (~$100), two years 115 Euros (~$153) and three years 150 Euros (~$200). The webcam has a resolution of 1280x720 pixels. 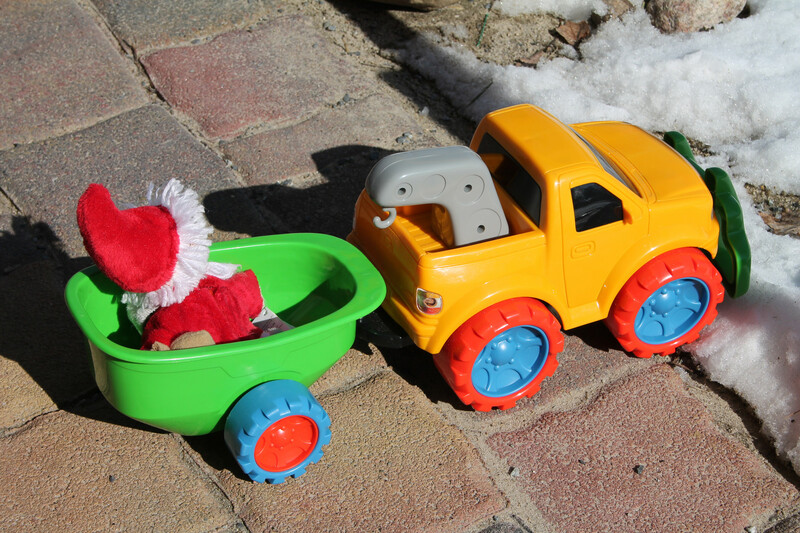 Pictures taken during daylight are well exposed (no overexposure during bright sunshine), but have a lot of image noise and the colors appear a little vivid. This webcam is not suitable for photo shoots. On the one hand, the chiclet keyboard can convince us with its precise and distinct pressure point. On the other hand, the middle key stroke is a little short and does not create a good feedback in combination with the partly springy stroke (left area). The stability, however, is very good. The keys do not dent even at high pressure. For the lack of a conical curvature, fast and precise typing is difficult. The fingers cannot find indentations that serve the navigation, especially when touch typing. However, the big spacing of the keys, the wide layout and the numeric keypad with standard layout (+/-/Enter on the right) compensate for this disadvantage. The noise generation while typing is damped. It is a suitable keyboard for home use. Frequent typists will nevertheless wish for a more distinct hub and the aforementioned conical curvature. A diagonal of 11.5 centimeters is rather big for a touchpad. The fingers slide with little friction over the smooth surface. Sadly, they permanently leave some kind of grease stain (on the keys as well). It can be anticipated that brightly polished areas will emerge after a few months of use. The touchpad is very precise. Movements are quickly converted. 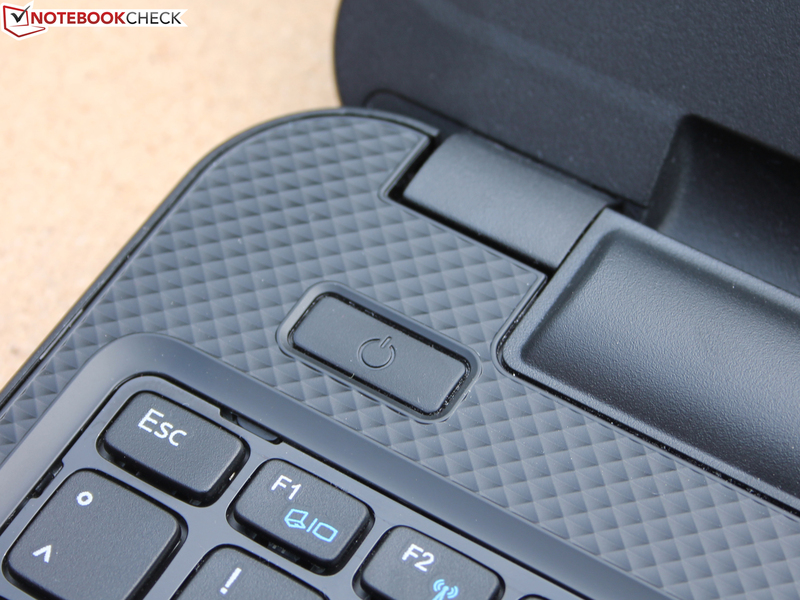 Dell offers a comfortable setup for its multi-touchpad. Pointing movements, sensitivity and scrolling/zooming can be adjusted separately. What we dislike are the mouse buttons with their low stroke that triggers the click very quickly. The noise is clear, loud and sounds cheap. A resolution of 1366x768 pixels is typical for a 15.6-inch screen. This results in a low pixel density of 100 dpi. The TN panel is not anti-glare and with 210 cd/m² in the middle not too bright either. However, the competition in this price range has just the same amount of pixels (glossy, HD resolution: IdeaPad Z580, V3-571G). The V3 is available with IPS FHD panel for an additional charge. The contrast of 404:1 is above that of the competition (~130:1). Hence colors seem slightly more brilliant and vibrant. We would not consider it to be high-contrast before a value of 800 - 1000:1 is reached. 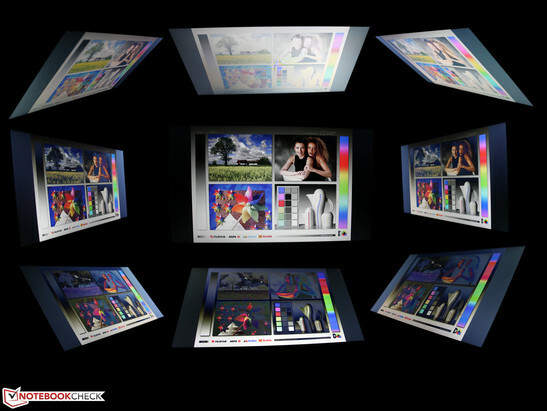 Color spaces and TFT calibration are relevant to the professional target group that deals with image editing and printing. 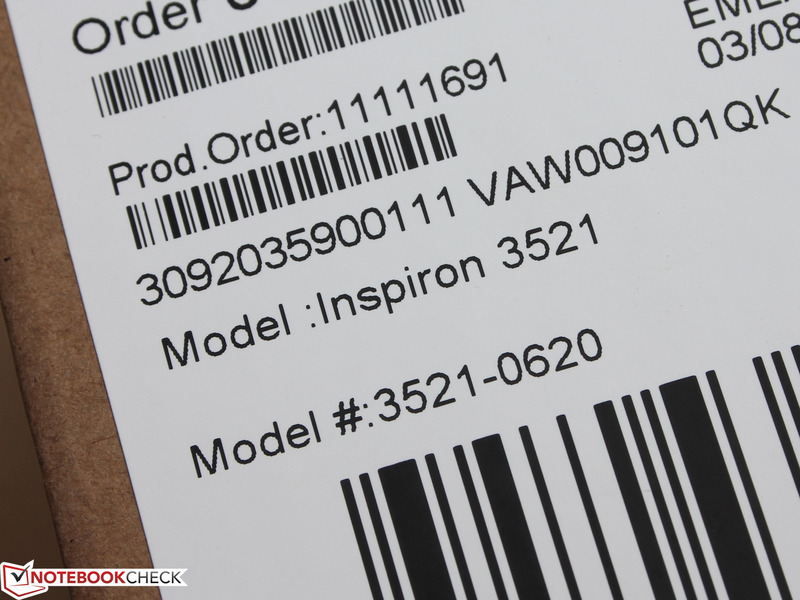 This is not the target group of the Inspiron 15, but we want to list the measurements for the sake of completeness. The smaller sRGB space is nowhere near complete coverage (52%), the same applies to the AdobeRGB (35%). We have a closer look at the color display with the three CalMAN screenshots. We conducted a color analysis with the i1 Pro 2 photo spectrometer and the CalMAN 5 software prior to calibration. We spot an obvious weakness of the display of the shades of grey. All middle colorings are visible to the naked eye with a blue cast. The average DeltaE (2000) is at 10. Since the white point is also moved in the blue direction, the display is noticeably too cool. The screen color saturation reveals that magenta, cyan and even red are slightly bluish. All of the three have a high DeltaE (2000) of <10. This means: The color deviations are clearly visible to the naked eye. 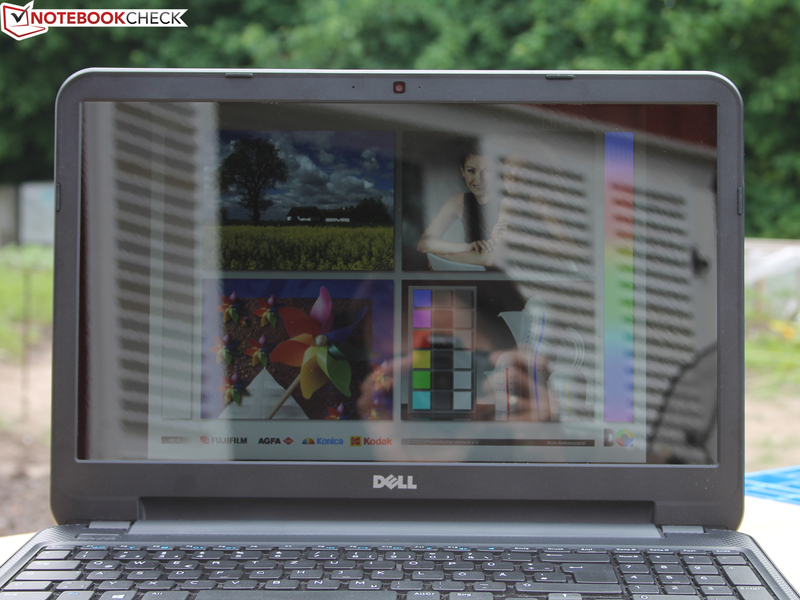 Due to the reflective TFT surface, outdoor use is not one of the strong suits of the Inspiron 15. If anything, the relatively low brightness does not suffice to lighten up the TFT (in battery mode it also has 210 cd/m² in the middle). The photos were taken in slightly cloudy weather. It was nearly impossible to see anything from the side. The display is readable in the shade and when used frontally, but the search for the right adjustment without reflections is quite unnerving. 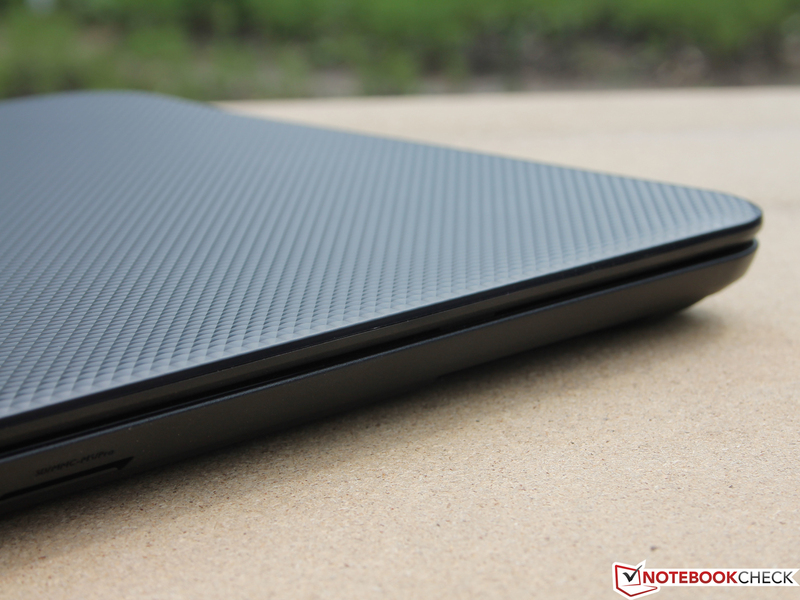 The competitors IdeaPad Z580 and V3-571G are not one jot better. The viewing angles are also not one of the strengths of the TN type. Vertical views from above or below are limited to 20 degrees (strong color inversions, ghosting). This effect occurs much later horizontally, at about 45 degrees from the middle. 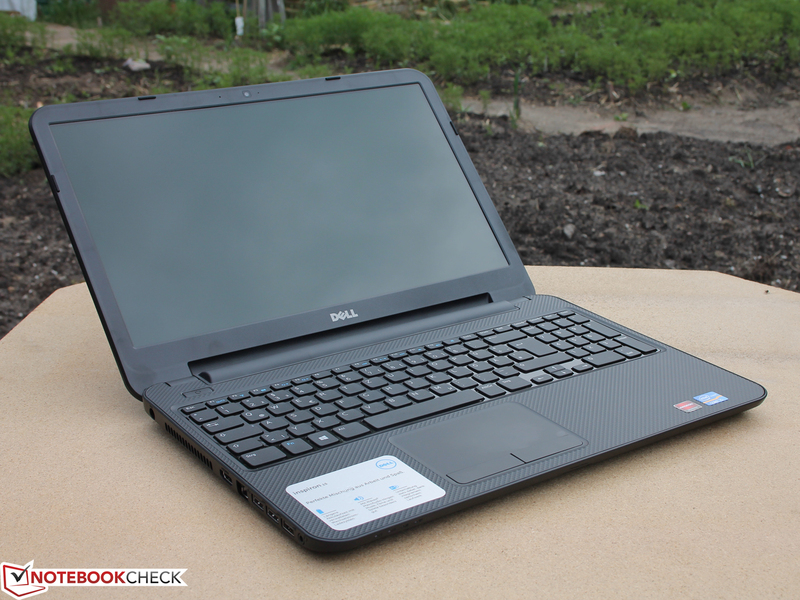 The Dell Inspiron 15 (model 3521-0620) is equipped with an Intel Core i5-3337U (2x 1.8 GHz). 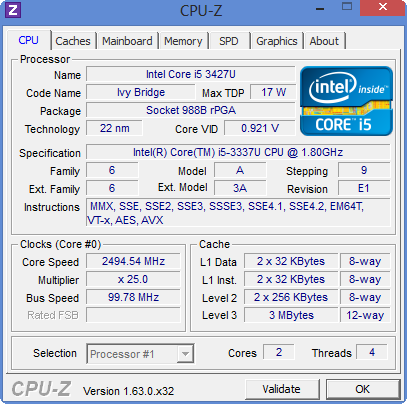 It is an Ivy Bridge offshoot and the higher clocking model of the Core i5-3317U (2x 1.7 GHz). 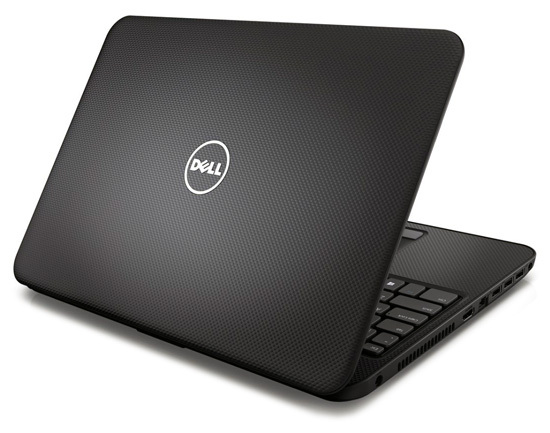 Alternatives from Dell are also available on the free market, for example Core i7-3537U (3521-0620) and i3-2375M (3521-0606). The price of the i3 version is only 400 Euros (~$533, with OS), but only contains an HD 3000 graphics card. Our test device, like the i7 models, comes with a dedicated AMD Radeon HD 8750M (2 GB) or the older HD 7670M. The section "Gaming Performance" will discuss the relevance of this difference. The hard drive has 500, 750, or 1,000 GB, depending on the price level. The main memory always has 4 GB (1 module, 1 slot available). 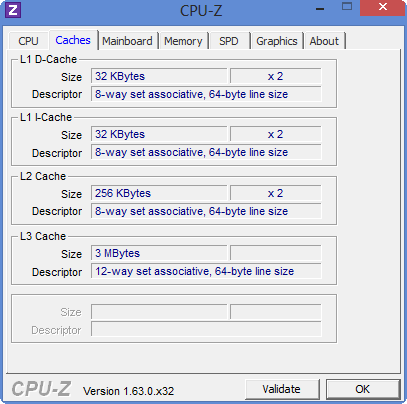 The CPU can be sped up to 2.7 GHz via Turbo Boost 2.0. This leads to a performance gain of the processor in comparison to the i3 (no turbo). The Cinebench CPU tests show a disadvantage of 8% for the Aspire E1-571G (i3). 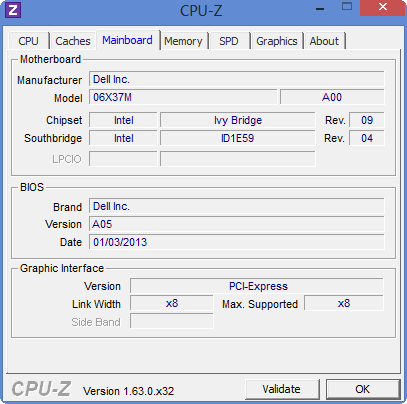 This is due to the standard voltage processor of this 15-incher. 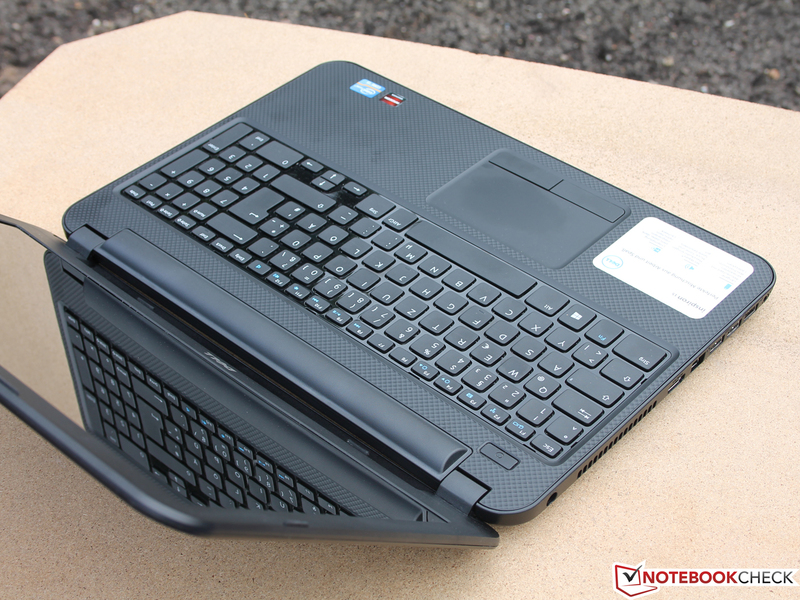 The IdeaPad Z580-M81EAGE (i5) and the V3-571G (i7) are comparatively better. In the multi-CPU test they throw an additional 16% and a considerable 145% respectively into the bargain. Those who are looking for high performance should turn to the 35 watts CPUs. 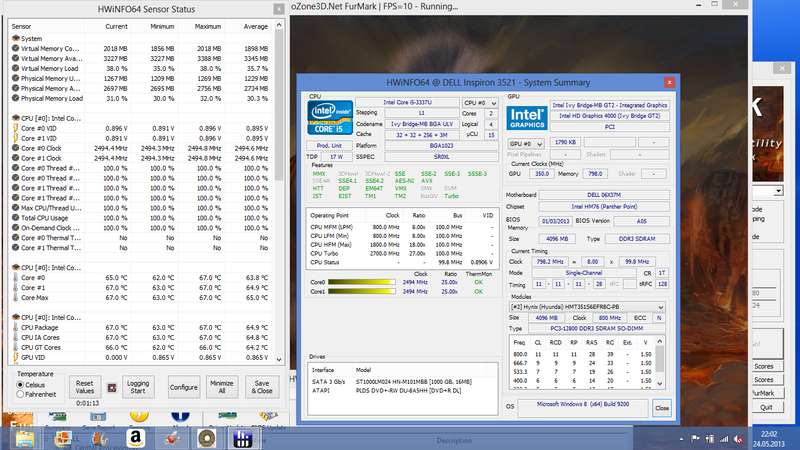 During the Cinebench R11.5 tests (multi & solo core), we also check if the CPU turbo is running properly. 2.5 GHz is constantly held during a multi-test, thus maintaining the turbo range (CPU temperature 63 °C). 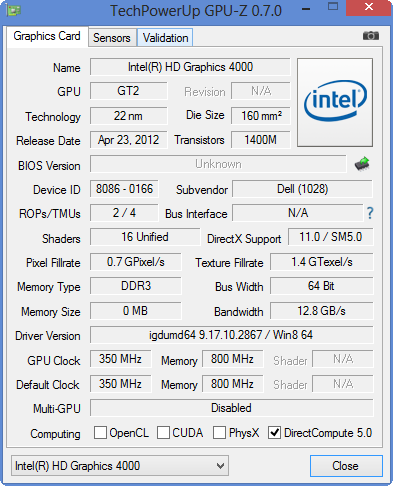 However, the GPU core permanently runs at 700 MHz during the OpenGL test. The measurements are correspondingly high, the GT 630M of the Z580 is beaten with a performance plus of 28%. Hence the cooling system of the chassis can handle cooling the processor sufficiently. The performance stays at the exact same level during battery mode. All of the three Cinebench R11.5 tests score the same results. 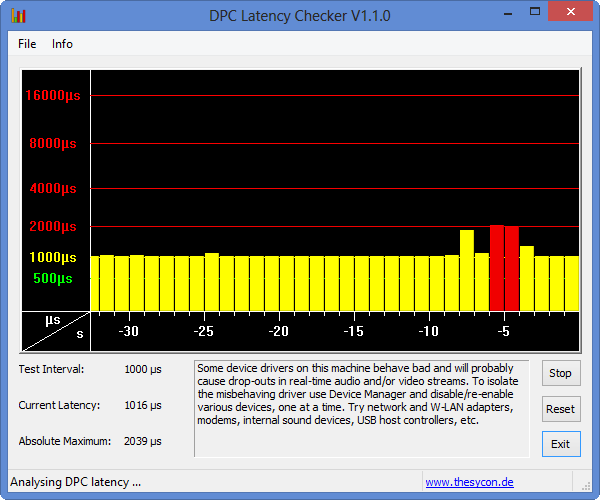 PCMark and PCMark Vantage test the application performance. The result of 2119 points is figuratively at the very bottom. The competition scores 12 to 85% more. 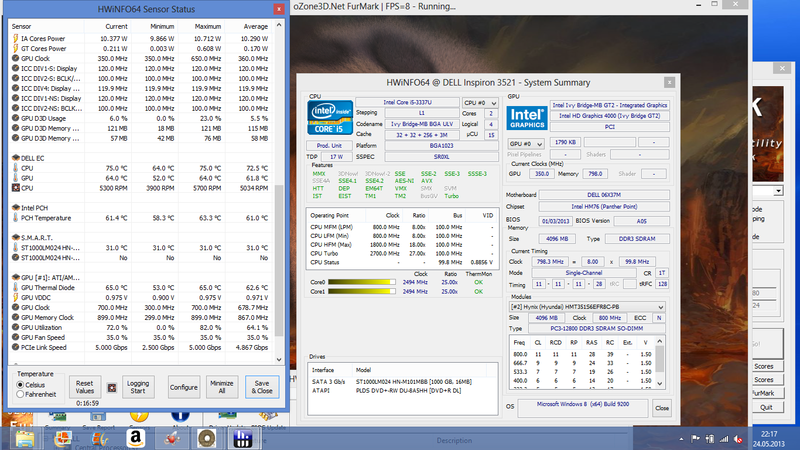 The Z580 is the only exception, despite the faster 35 watts processor. 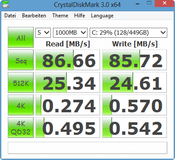 Theoretically speaking, the Z580 should fare slightly better, but the slower HDD prevents better scores. This, however, is also the case for our test device (HDD sub-score 1,455 and 2,837 points respectively). 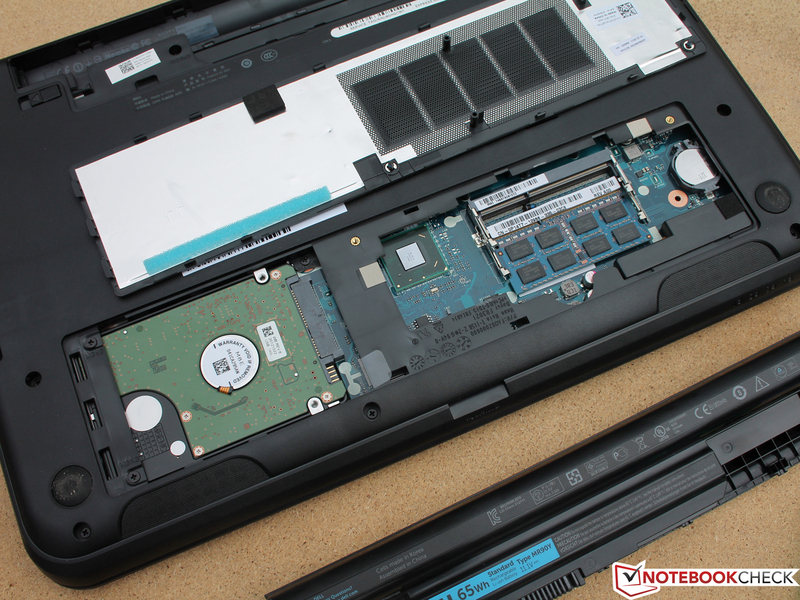 The throttling problem of the Lenovo competitor still remains, which might lower the performance to a low-voltage level. Our test device by no means performs badly: Acer's Aspire V3-571G with quad-core i7-3610QM and powerful GeForce GT 640M runs only 15% quicker in the PCMark 7 test. From this perspective we cannot complain about the overall performance of our economical, entry-level laptop. By the way, HP's Pavilion Sleekbook 15 comes off that well (+85%) because it was equipped with a LiteOn LMT-32L3M as SSD cache to support the conventional HDD. The HDD sub-scores of the above PCMark scores show how systems equipped with similar HDDs behave. 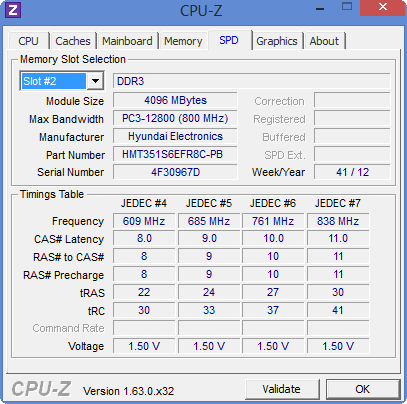 The Z580 (-2 / +27%) and the V3-571G (-1 / +25%) go more or less head to head. Only the Pavilion Sleekbook 15 breaks away with its SSD cache. 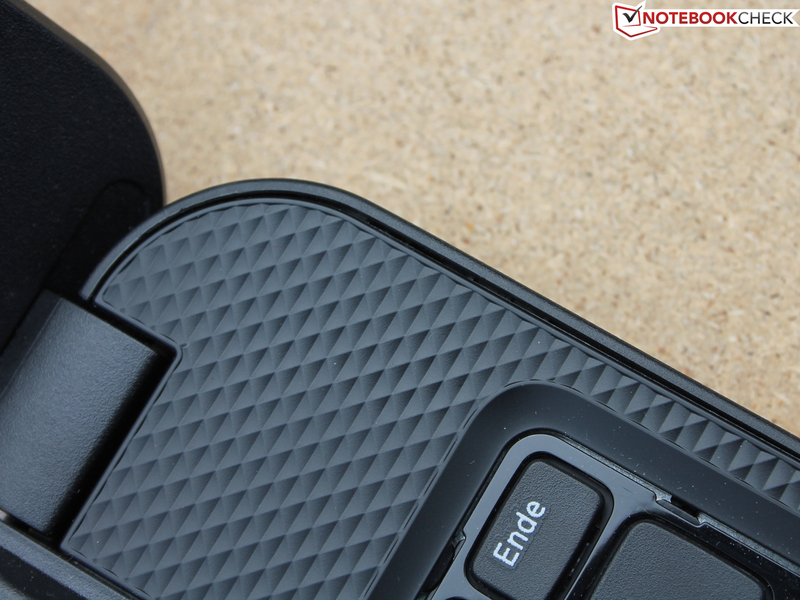 The Seagate Momentus SpinPoint M8 (ST1000LM024 HN-M101MBB) offers a memory space of 1,000 GB. 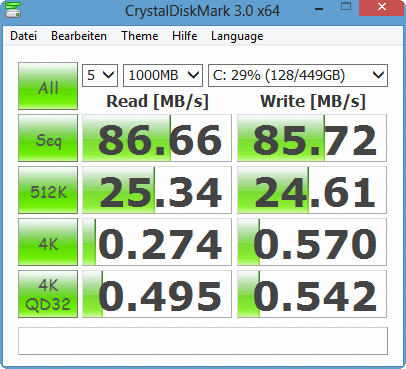 More is currently only available in combination with mSATA SSD or a second hard drive (17-inchers). The 2.5-inch hard drive (design height 9.5 mm) has a rotation speed of 5,400 RPM. 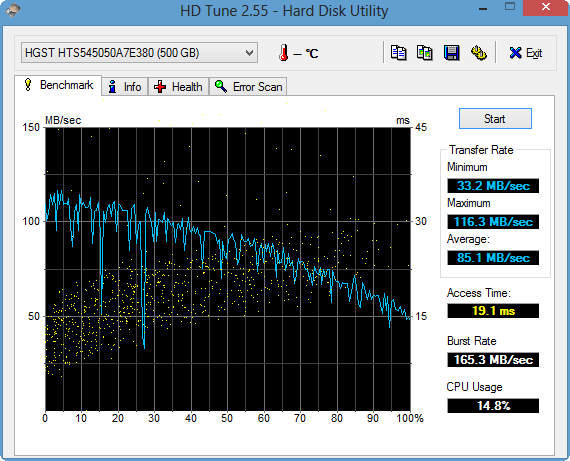 The access time of 20.6 ms is, for this HDD type, very low. The sequential-read values also lie only between 81 and 100 MB/s. Smaller, fragmented data is read even more slowly (4K: 0.328 MB/s). The HDD scores above are so low for these reasons. 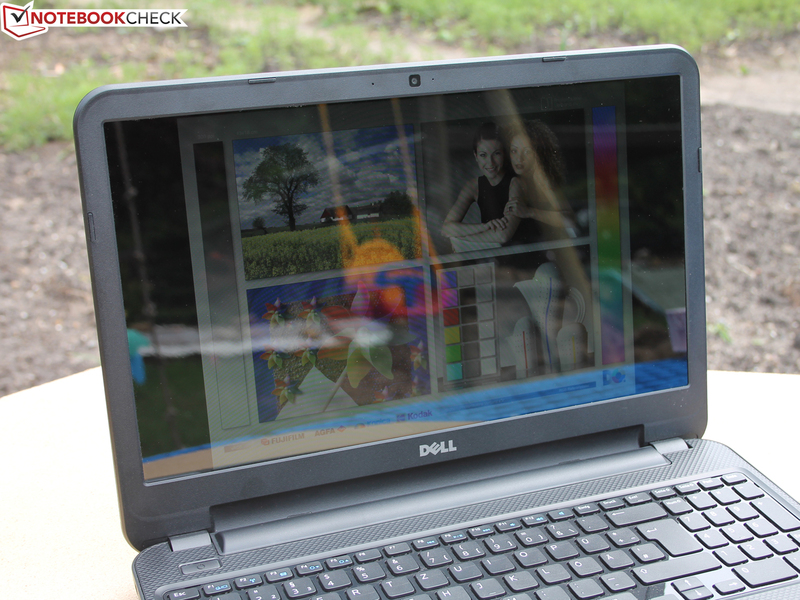 One of the most interesting components of the basic Inspiron 15 is the graphics card. 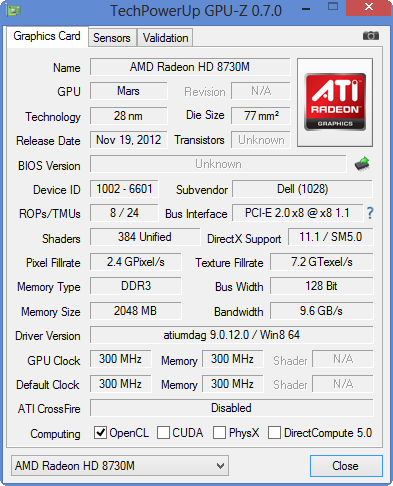 The AMD Radeon HD 8750M has a GPU turbo of 620 to 775 MHz (according to the data sheet). The HD 8730M of the more expensive 15R has the same amount of shaders but not such a turbo (384 shaders, 650 MHz). Does our sample, therefore, have more gaming power for less money? Not quite. Dell has limited the turbo to 700 MHz, which is why the GPU clocks between 300 (idle) and 700 MHz (load). At least it behaves the same during battery mode and simultaneous maximum CPU load (stress test, see ergonomics paragraph further down). The synthetic benchmarks show respectable values for the HD 8750M in comparison to the competitors with entry-level GPUs. 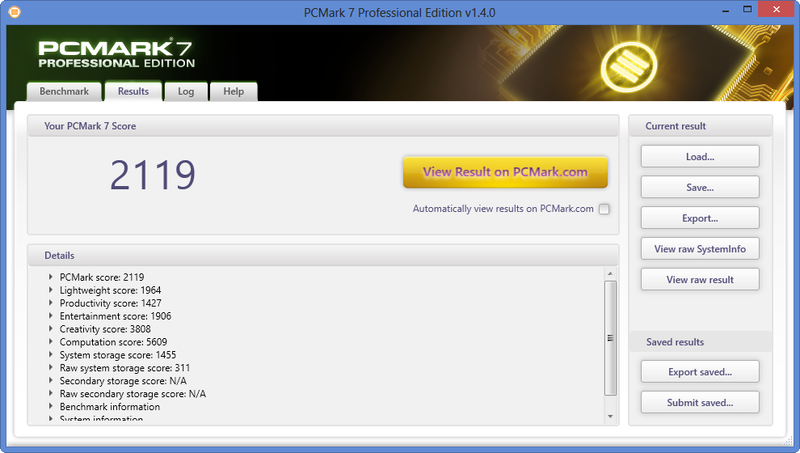 The HD 8730M of the sister model Inspiron 15R-5521 reaches the same score in 3DMark 11. The limitation of the turbo, therefore, nullifies the gaming advantage of our system. However, the GT 620M and GT 630M lie 12 to 31% behind. The GT 640M of the V3-571G outperforms our system by +27%, which is why gamers should have a close look at this 15-incher (from 570 Euros, ~$760, with GT 640M!). The Radeon HD 7670M (previous generation) is relevant for the comparison at this point, because one version of the Inspiron 15 is equipped with it (600 Euros, ~$800, version 3521-0507). This GPU is not beneficial though. On the contrary: the Satellite Pro L870-16P and L850-153 provide about 20-25% less computing power in 3DMark 11. For the following games the values lie between -10 and -30%, even though both Toshiba devices run on a 35 watts processor. Hence gamers should choose the HD 8750M. Real games replicate the assessments of the synthetic benchmarks. Games can be played with high detail settings with the native resolution of 1366x768 pixels if the game is not too demanding like Crysis 3 or SimCity. Unfortunately, we do not have any comparisons with the competitors Lenovo Z580 and V3-571G. The following chart shows for FIFA 13 and Mass Effect 3: The GT 620M and its successor the GT 720M (new: GPU turbo) are about 20% less powerful. The V3-571G is a version with GT 730M (Mass Effect 3: +14%; FIFA 13: +30%) which does not really belong in the low price-range of our Inspiron 15. The 15-incher is always audible. The fan never completely stops. The sound pressure, which was measured at a distance of 15 centimeters, lies around 32 dB(A) on the lowest setting during idle. The constant activity of the fan is very pleasant when using the laptop for business purposes (long phases of idle). With a volume of 31.6 dB(A) during high load, the hard drive blends right in. 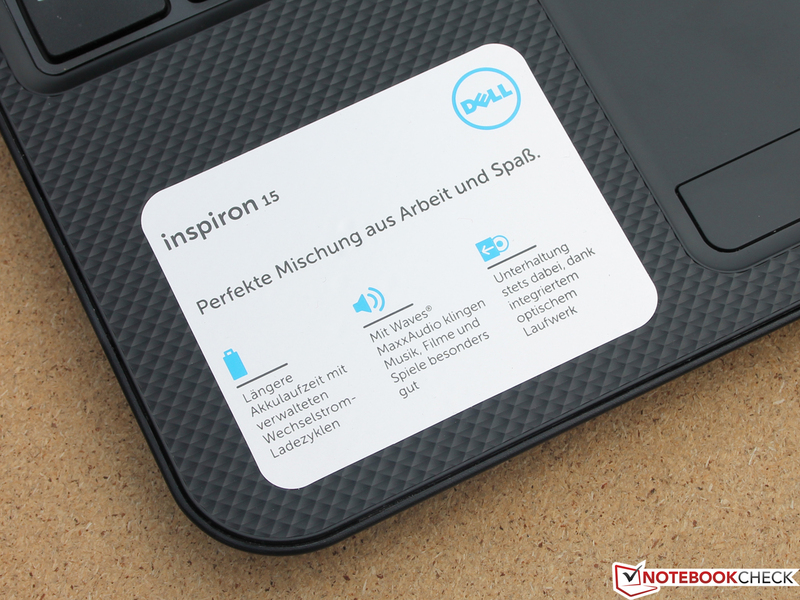 The noise level rises up to 44 dB(A) (stress test CPU+GPU) when we stretch the Inspiron 15 to the limit. 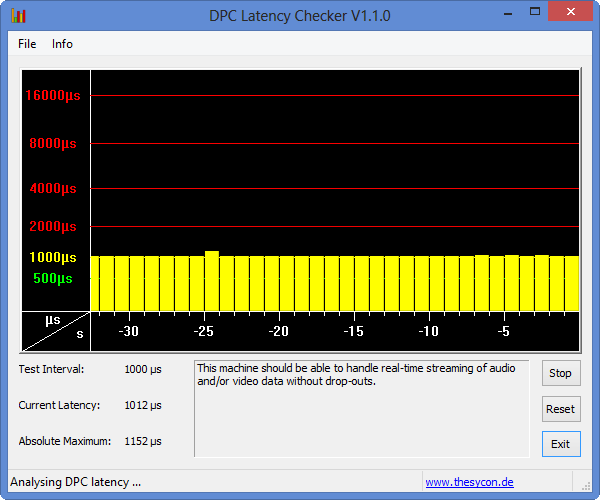 The volume lies at 41 dB(A) when playing games or running 3DMark06. The cooling runs consistently in both cases. Hence there are no disturbing changes in volume. We like the control of the fan because it never is disruptive and the fan only turns up the volume significantly at levels of performance. The temperature chart during idle reveals the positive impact of the low-voltage processor and the constantly running fan. The average is only 30 °C (top and bottom). Of course, this is not applicable for the temperature of the CPU and GPU during extreme high and long-lasting load (stress test). Now the top and bottom selectively heat up to 47/45 °C. Due to the counterbalancing cool areas, the average is still at only 39 °C (top) and 38 °C (bottom). Throttling is not an issue for the test device. This would be quite disturbing for a 15-incher that could have been easily fitted with a 35 watts processor anyway. 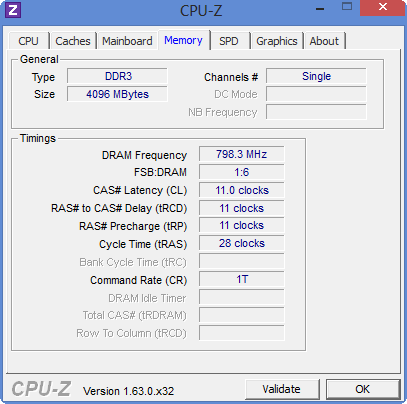 The clock speed in the stress test always lied above that of the nominal clock speed of 1.8 GHz, namely at 2.5 GHz (multi-core). The full CPU turbo is even activated under maximum GPU+CPU stress. 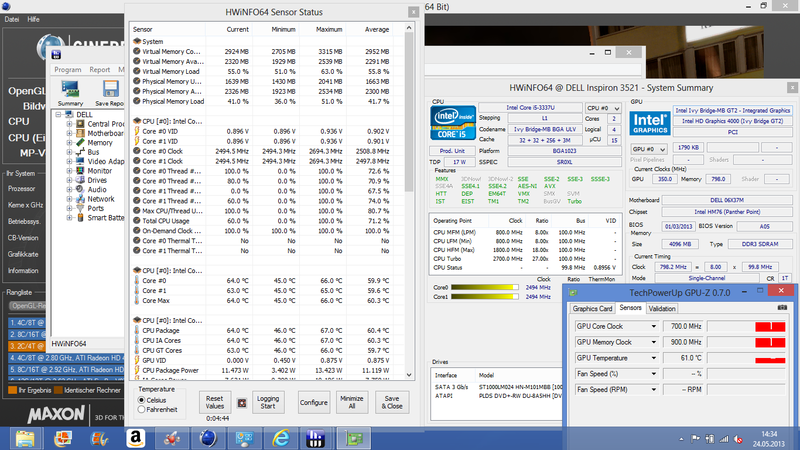 At this setting the temperature of the CPU stays at 75 °C even after two hours. 3DMark06, which ran after the stress test, yields the same results as a cold boot. (-) The average temperature for the upper side under maximal load is 38.7 °C / 102 F, compared to the average of 30.9 °C / 88 F for the devices in the class Multimedia. (±) The maximum temperature on the upper side is 44.7 °C / 112 F, compared to the average of 36.5 °C / 98 F, ranging from 21.1 to 71 °C for the class Multimedia. (+) In idle usage, the average temperature for the upper side is 29.5 °C / 85 F, compared to the device average of 30.9 °C / 88 F.
(-) The palmrests and touchpad can get very hot to the touch with a maximum of 40.5 °C / 104.9 F.
(-) The average temperature of the palmrest area of similar devices was 29.1 °C / 84.4 F (-11.4 °C / -20.5 F). The 15-incher is equipped with stereo speakers that are situated at the front underneath the palm rest. They reach a high volume but only with a brassy and clanking sound (especially at high volume). Since it does not own a subwoofer, we barely hear any low-pitched or bass sounds. Music sounds like a mishmash without any differentiations between high, medium and low ranges. 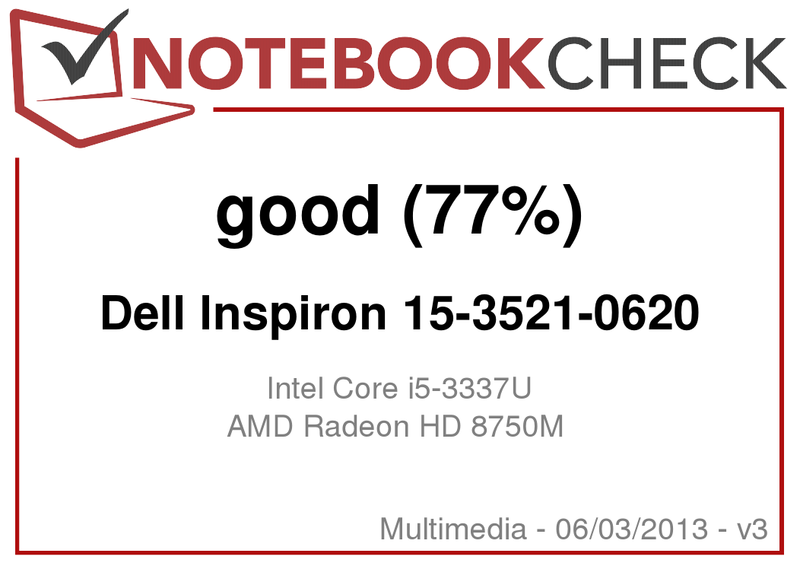 This is a very disappointing performance for a multimedia notebook. 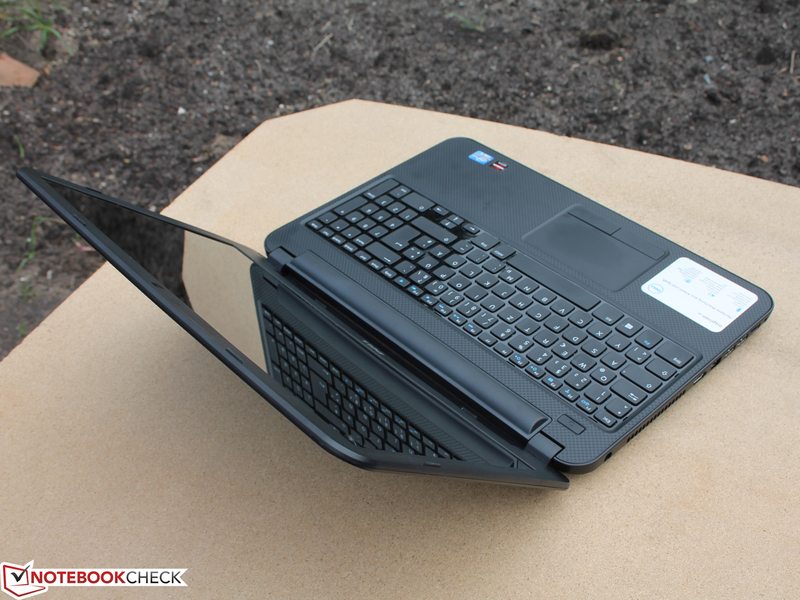 Is the 15-incher with its ULV-CPU just as efficient as an ultrabook? Principally yes. The measurements during idle are about the same as those of the Pavilion Sleekbook 15-b004sg (7-11 watts) which also has a dedicated GPU. The power consumption under load, however, is a totally different story, due to the different GPU models and clock speeds. The efficiency becomes especially apparent in comparison with the IdeaPad Z580 (i5, 35 watts) and Acer Aspire V3-571G (i7 quad-core, 35 watts). The idle value is between 4 to 5 watts higher. When running 3DMark06 (average load) to put stress on the system, the power consumption is up by 59% and 108% respectively. 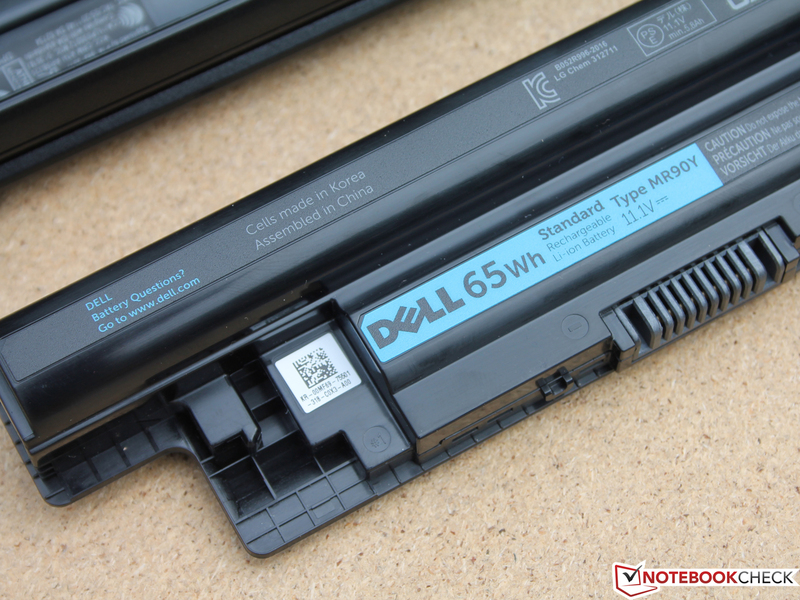 The Inspiron 15-3521 does not achieve the best runtimes with its 65 Wh lithium-ion battery despite the low-voltage hardware (good ultrabook 6-8 hours in the WLAN test). Four hours in this practical setting is not acceptable for the 15-incher. Despite the fact that they have less capacity and 35 watts CPUs, the competitors IdeaPad Z580 (48 Wh, 4:34 hours) and Aspire V3-571G (48 Wh, 3:16 hours) run longer (Z580) or compensate this disadvantage with more computing power (V3-571G). It is standard practice to test the battery runtime when watching DVDs. With 2:04 hours this test ends even faster than the WLAN test. The second measurement, which played the movie from a hard drive, ended at 2:14 hours. Given these short runtimes, the charge time of 3:45 hours is far too high (charging when device turned on, idle). This cannot be caused by excessive demands on the power supply which supplies 90 watts. 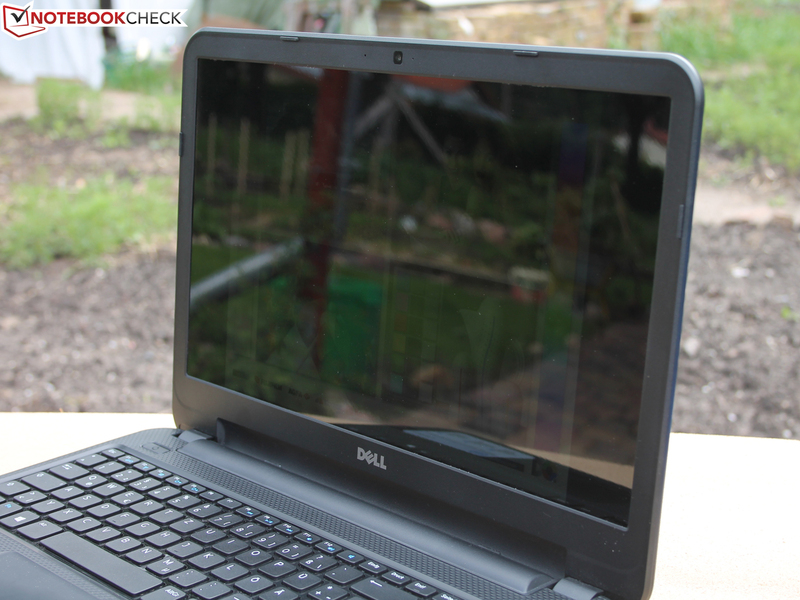 The laptop really seems to be a tough cookie: Dell's Inspiron 15-3521-0620 squeezes ultrabook features (ULV-CPU 18 watts), business features (numeric pad, good ergonomics) and game capability (AMD Radeon HD 8750M suitable for games) in one simple plastic chassis. The fact that the plan does not work out for all target groups is compensated by the price of 540 Euros (~$720). Gaming and computing performance are convincing for this price-range, at least for supporters of energy-saving processors. Stronger 35 watts processors with good graphics cards are also available in this price range. 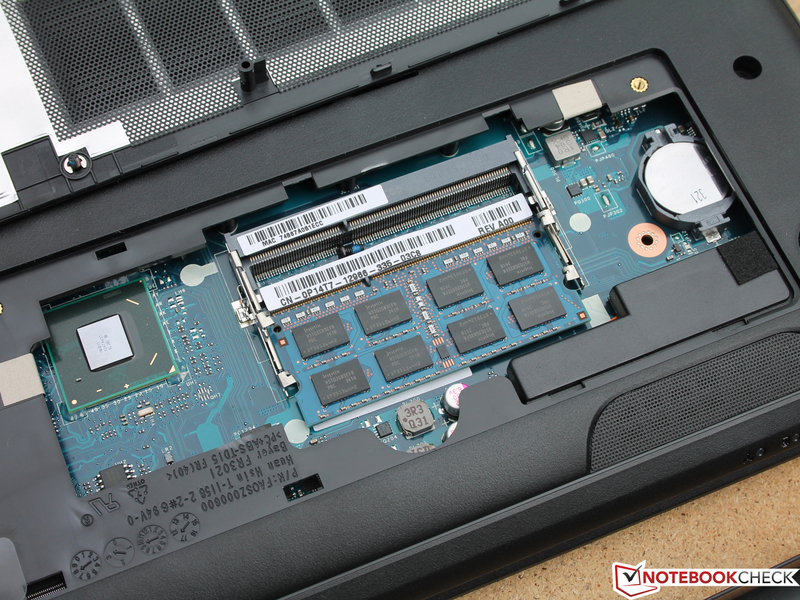 Despite the 65 watts battery, the hardware that might as well be installed in an ultrabook fails to ensure competitive runtimes of over five hours. The reflective and not too bright display is a sun worshipper's nightmare. The contrast is acceptable but the colors have a blatantly obvious blue cast. Frequent typists will not fall in love with the keyboard (despite the numeric pad) and the mouse buttons are rickety. The look and processing of the case are made for undemanding customers. But even they will not be too happy about the imprecise clearances and the joints at the base that are prone to dust. All in all, the Inspiron 15 of 2013 stays a simple device that is economical but still powerful enough for home use and games. 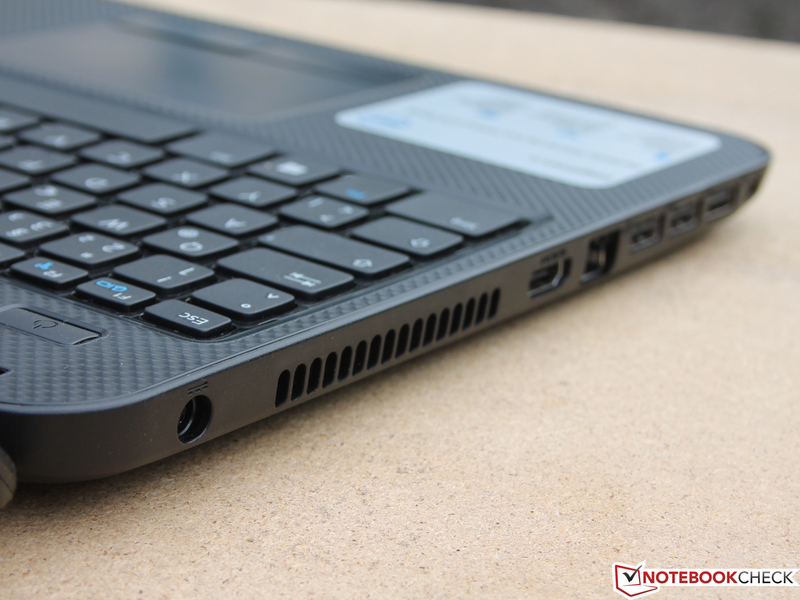 Those who want more gaming performance and a more appealing look should check out the Aspire V3-571G. Prices for versions with i5 and GT 640M start at 550 Euros (~$734). Lenovo's IdeaPad Z580 offers better speakers, longer battery runtimes and with its GeForce GT 630M (current GT 635M version starting at 550 Euros, ~$734) about the same gaming power. The look and processing leave a very good impression even though the plastic surfaces only imitate aluminum. A plain cardboard box for a plain notebook. 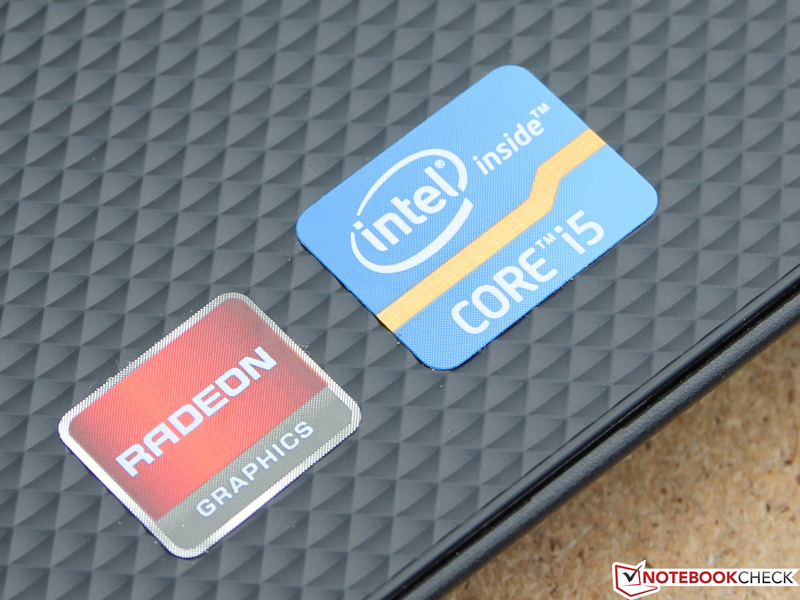 Core i5-3337U and AMD Radeon HD 8750M might as well be installed in an ultrabook. ... and on the lid. ... what's troubling are the clearances. The haptically structured surface has a comfortable grip. 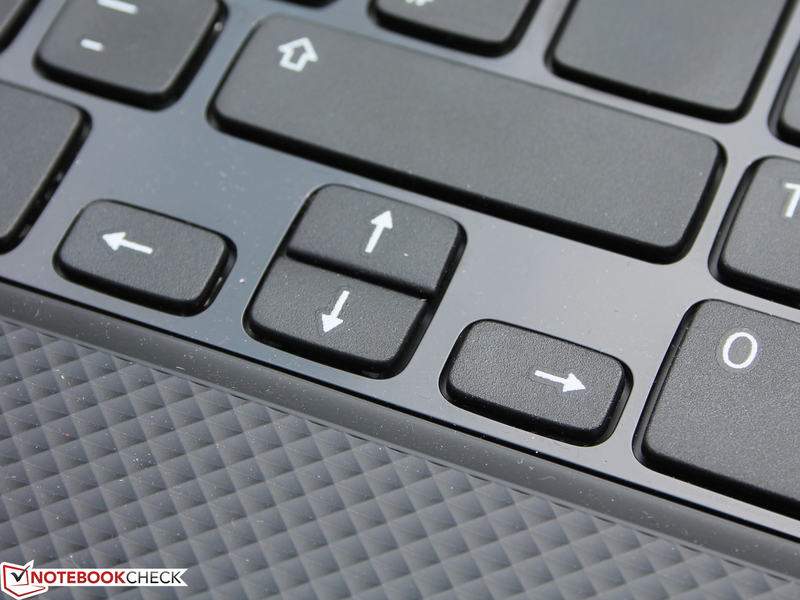 The keyboard has a good pressure point but not good feedback. Dell headlines confidently: Perfect mixture between work and fun. 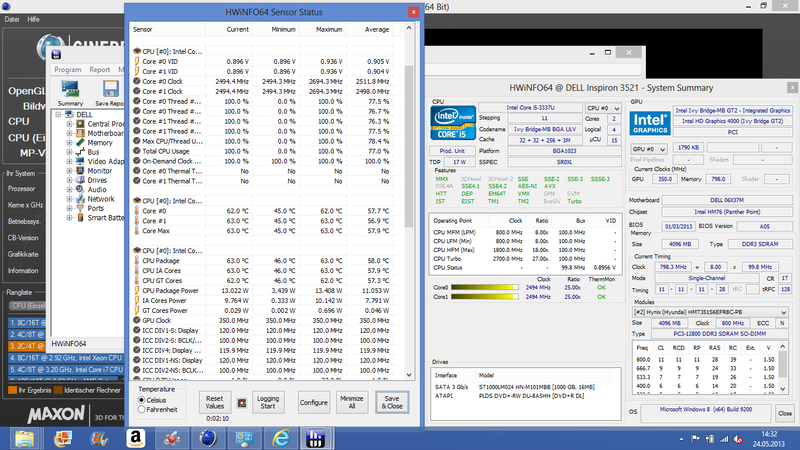 Radeon HD 8750M and Core i5 are a good combination for that. Compared to its price, the performance is very good. Positive: Even though the fan runs constantly, it is quiet and consistent. Negative: It does not have a classic VGA D-Sub. The card reader is situated at the front. The fingers slide off, a real grip recess is missing (pull upwards). The complicated locking mechanism looks fragile. ... we have a 65 Wh lithium-ion battery in front of us. The fans (for cleaning purposes) are not accessible under the maintenance lid. However, the main memory can be removed easily (one slot empty). The keys have a shiny border that will smear over time. 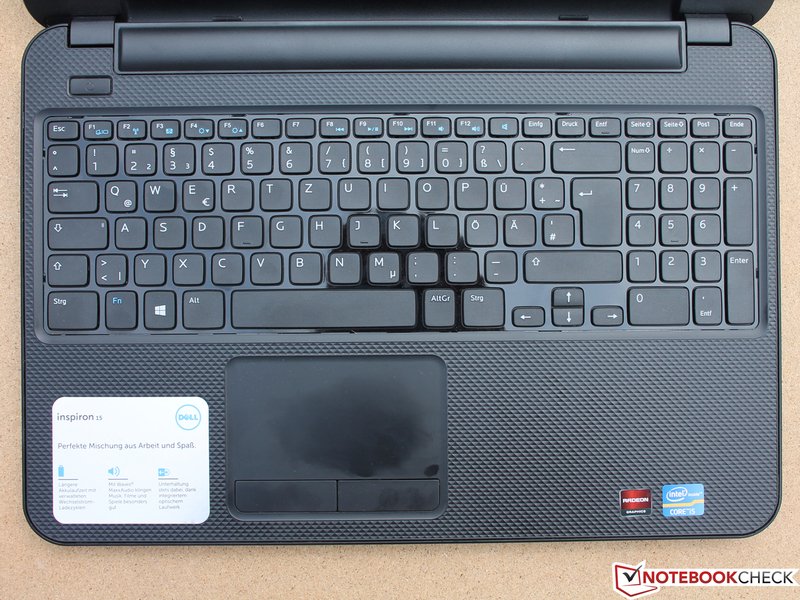 Dell Inspiron 15 (3521-0620): Suitable but not a good keyboard. 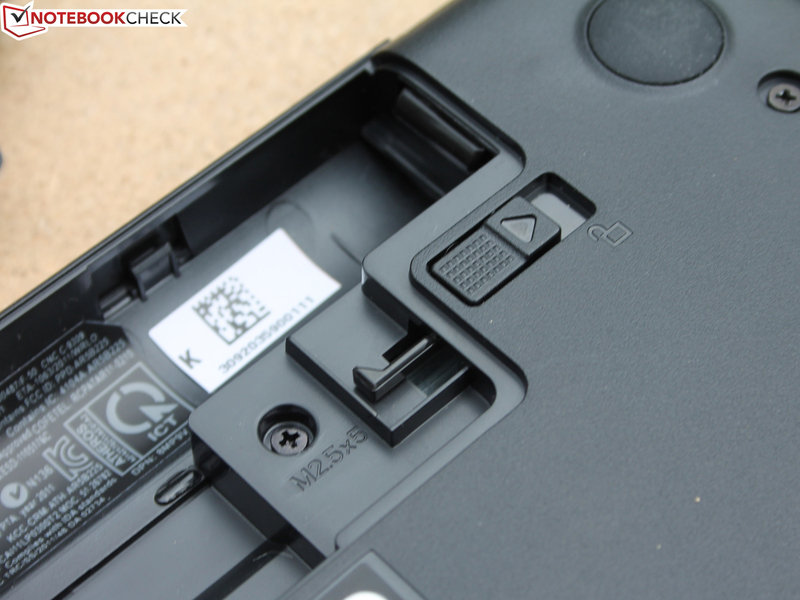 Dell Inspiron 15 (3521-0620): The keys do not have a conical pit. 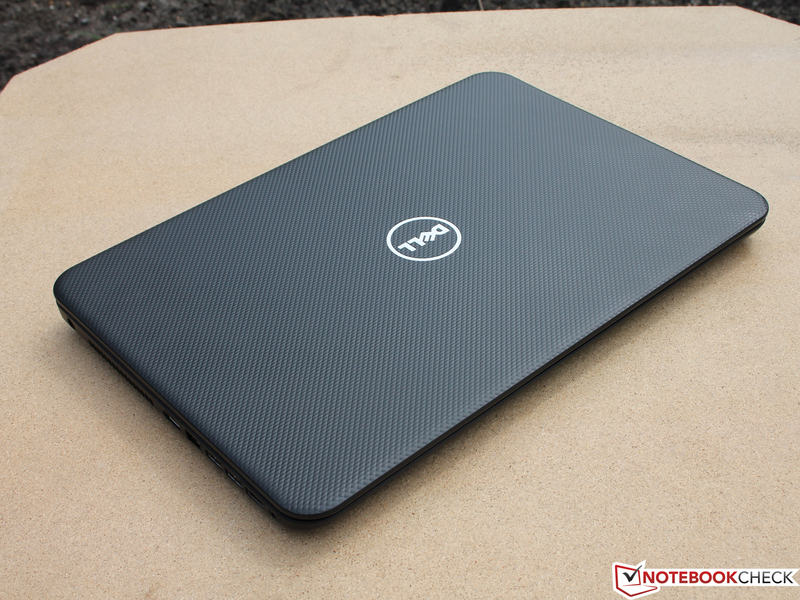 Dell Inspiron 15 (3521-0620): The haptical relief has a good grip. 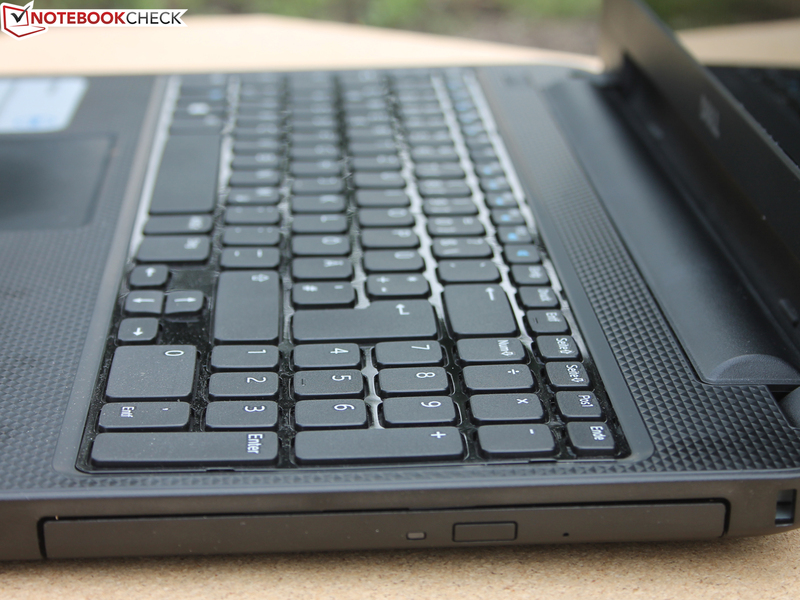 Dell Inspiron 15 (3521-0620): Still, the optics do not look particularly valuable. 65 Wh lithium-ion battery - but a runtime of just 2 to 4 hours. 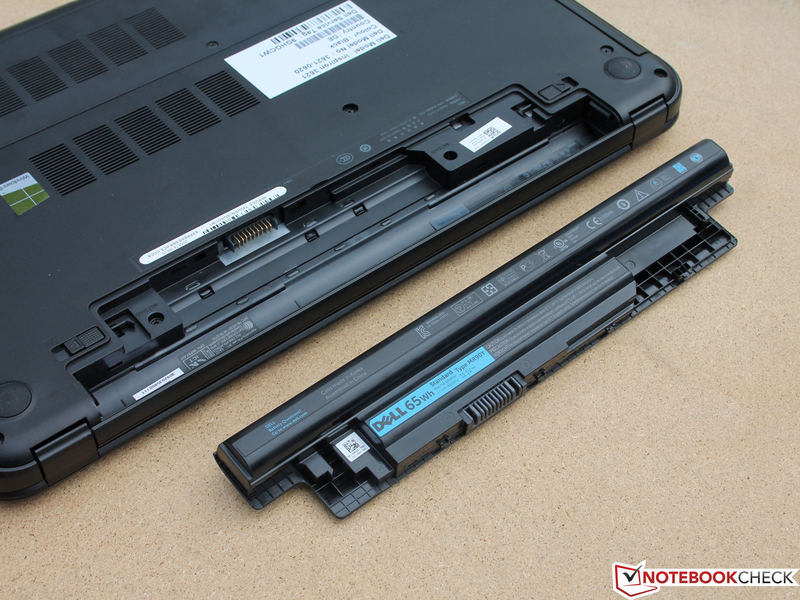 Dell Inspiron 15 (3521-0620): Taking out the battery takes time getting used to. 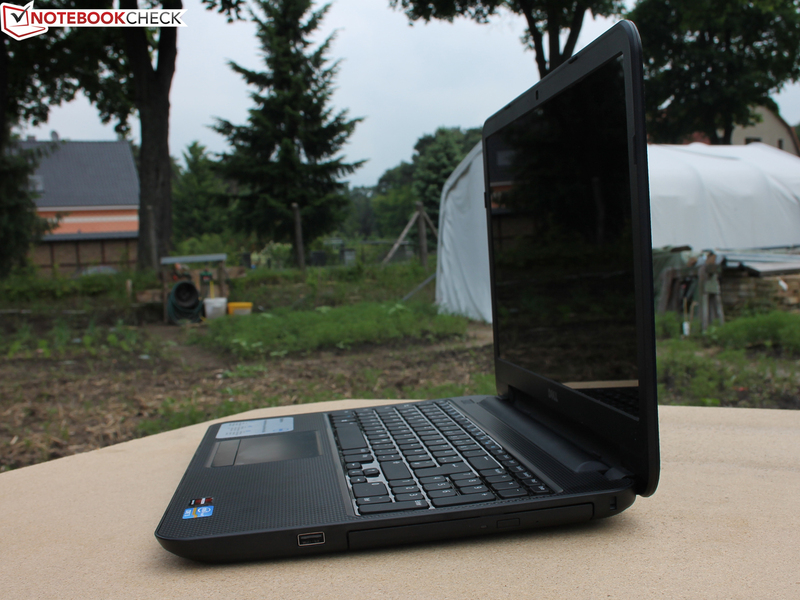 Dell Inspiron 15 (3521-0620): Core i5-3337U and AMD Radeon HD 8750M allow mobile gaming. The courage to put ULV hardware in a normal 15-inch chassis. Energy savers will like that. A matte and bright display without a distinct blue cast. A keyboard with a comfortable feedback and less rickety mouse buttons. The graphics card is deprived of its turbo features. Is there any reason for it? The cooling system could have handled it easily. Acer Aspire V3-571G (i5, 640M, HD panel); Acer Aspire E1-571G (i5, 620M); Acer TravelMate P453-MG (i3, 630M); Packard Bell EasyNote TV43-HC (i5, 630M); Medion Akoya P6635 (i5, 630M); HP Pavilion Sleekbook 15-b030eg (i5, 630M); HP Pavilion g6-2314sg (i3, 7670M); Lenovo IdeaPad Z580 (i5, 635M); Samsung 300E5C (i5, 620M); Lenovo G580 (635M); Sony Vaio SVE-1512I1E/SI (i3, 7650M).